The market is making me lose interest. However, the market is always there, and traders are sitting in front of the monitors. 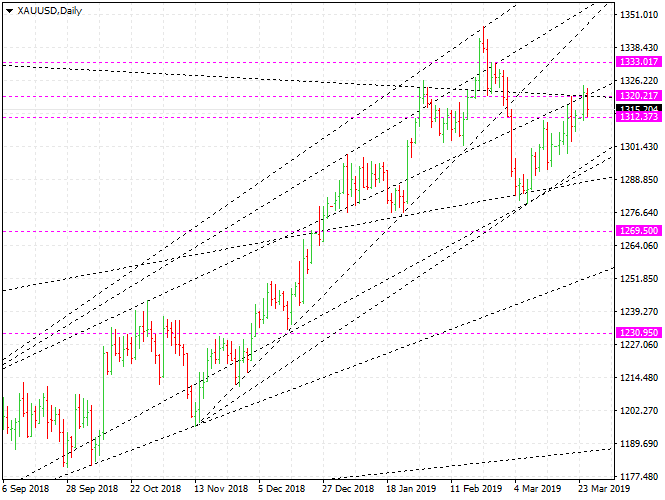 Gold: I am waiting for oppertunities to sell gold. The price lines I consider important are $ 1312, $ 1320, and $ 1333. It is likely that the opportunity to sell will come sooner or later. Important price lines for silver are $ 15.371, $ 15.63 and $ 15.78. Silver seems to be better than gold to sell. It is unlikely that silver will soar. I am waiting for oppertunities to sell more silver. WTI: Crude oil prices are rising, as expected. Brent oil will rise to $ 75.3 and WTI to $ 63. Something seems to be getting ready to make the oil market hot. Euro: The EURUSD is likely to move between 1.122 and 1.143 for a while. For the time being, it would be better to do range-trading from a short-term perspective. SP500: Stock indexes seem exhausted. The key price lines for the S&P 500 index futures are 2783 and 2850. From a short-term perspective, it would be better to do sell-trading.